How much of it should be attributed to forced upgrades, and how much to simple preference? Say what you will about Microsoft’s Windows 10 forced-upgrade scheme. As far as gamers on Valve’s Steam service are concerned, Windows 10 is the most popular OS. On Wednesday afternoon, Steam released its Hardware and Software Survey for May. According to the survey, 41.48 percent of the gamers on its service are running Windows 10 (combining both the 32-bit and 64-bit versions), up from 39.51 percent from the month before. As of this survey, only 38.6 percent of users are running either version of Windows 7. A month ago, the situation was neck-and-neck: 39.54 percent of Steam users used Windows 7, and 39.51 percent ran Windows 10. The increase in Windows 10 market share on Steam mirrors the overall jump in market share that Windows 10 reported for the month of May, about 2.09 percent as measured by Net Applications. That’s the sharpest jump in market share in some time, and almost certainly stems from some of the forced upgrades that Microsoft has thrust upon users—the most recent being a change in behavior that equates closing a dialog box with tacit acceptance of the upgrade. The story behind the growth trend is the rate, though. The combined 32-bit and 64-bit versions of Windows 10 grew by 2.87 percentage points from February to March, according to Steam’s data. From March to April and April to May, however, they experienced a steady, slower growth rate of just 1.97 percentage points. Windows 7 may be receding, but slowly too: 0.65 percentage points from March to April, and a smaller 0.54 percentage points from April to May. Steam’s data also shows that Nvidia’s 2014 graphics card, the GeForce GTX 970, is increasing its market share, to just under 10 percent of all GPUs used by Steam users. The Nvidia GeForce GTX 960 and 750 Ti fall right behind. 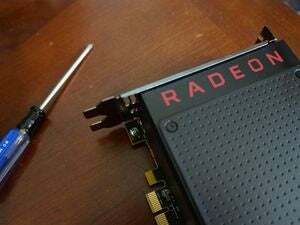 That’s probably the market that AMD is eyeing with its new Radeon RX 480 cards, which should be priced at around $200. Overall, Nvidia still dominates the graphics market, at least where Steam users are concerned. 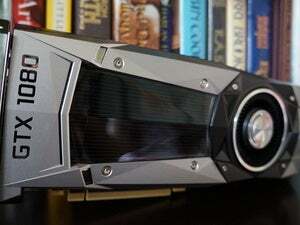 Nvidia powers 56.6 of all PCs that use the Steam service, with ATI taking 25.5 percent and Intel seizing 17.53 percent, according to the survey. In CPUs, Intel powers 76.76 of all PCs that use Steam, with the remaining 23 percent going to AMD. Nearly as many Steam users' PCs rock four-core CPUs as two-core CPUs: 45.08 percent and 48.13 percent, respectively. Steam also tracked VR headset use, which is skewing more heavily toward the HTC Vive, with 66.6 percent market share. Those numbers are at least partially attributable to the fact that the Vive was a joint partnership between HTC and Valve, however. The central question, though, is a simple one: Do gamers now prefer Windows 10? The numbers seem to say that they do.